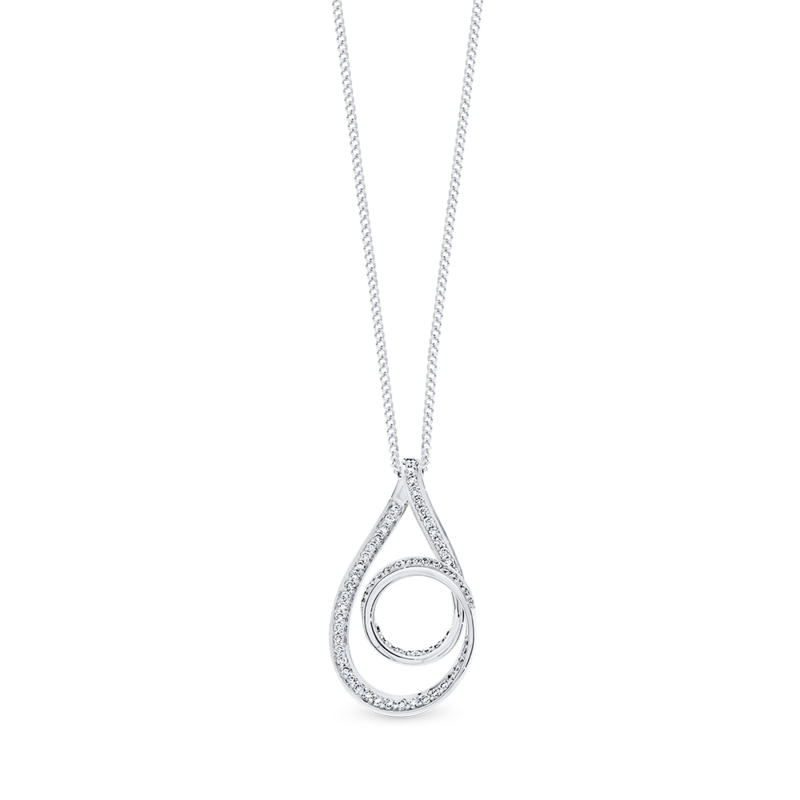 18ct white gold and diamond necklace featuring round brilliant cut diamonds. The sleek curves and bold contours of this pendant make it striking in appearance. Available in 18ct white, rose and yellow gold or 950 platinum.